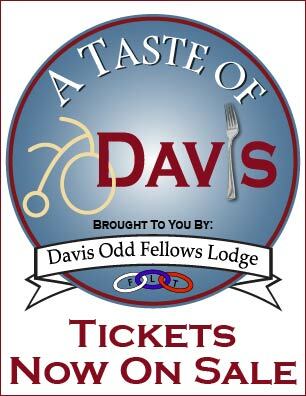 Over 50 committees supporting Davis Odd Fellows’ efforts in our Lodge and in the community. 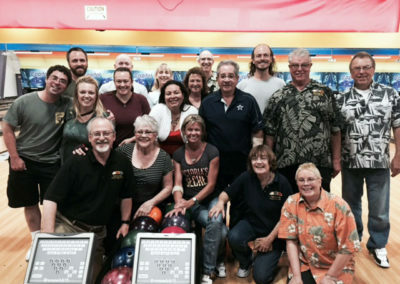 Unique individuals that make Odd Fellowship fun and exciting. 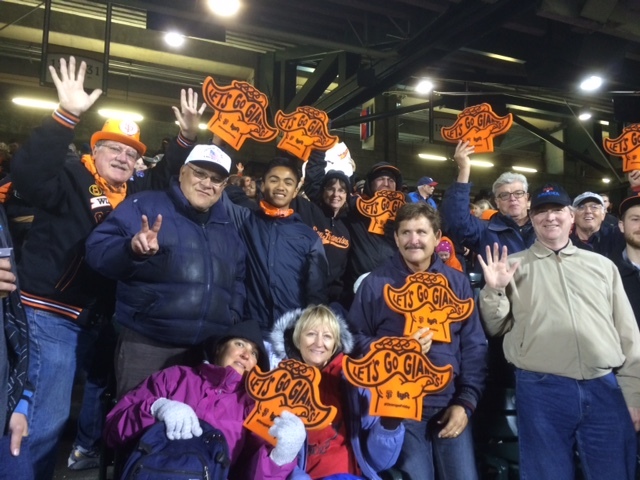 Honoring our past as we look towards the future. 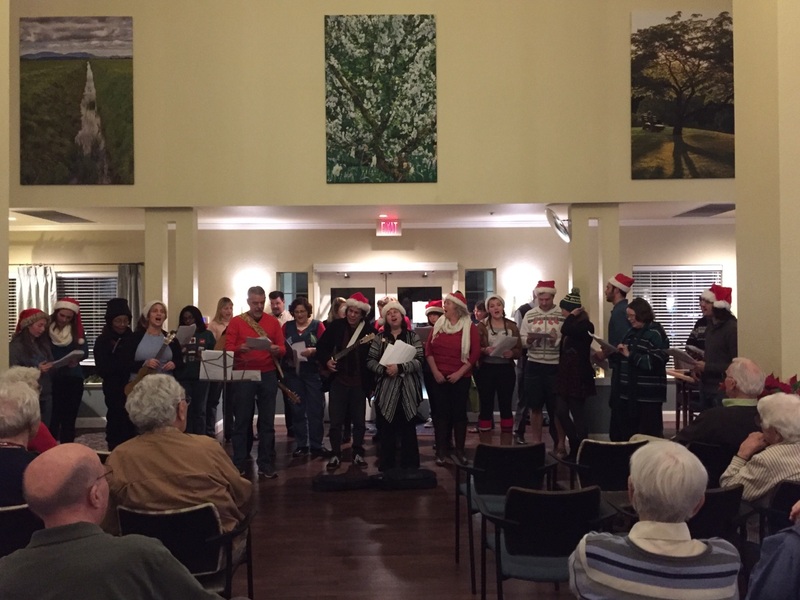 Signature events throughout the year providing financial support to our community. 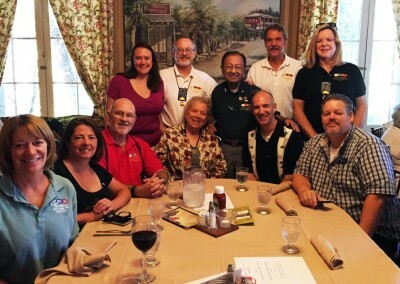 We’re honored to announce that the Natalie Corona Odd Fellows Scholarship Fund has been established. 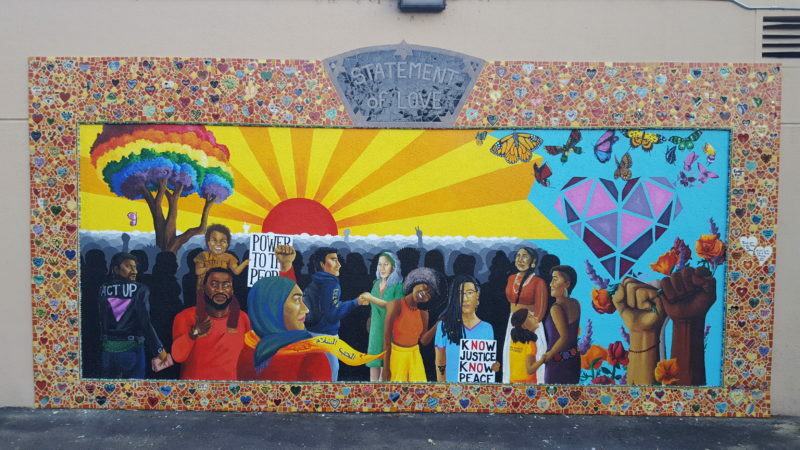 On Sunday, February 24th, we open the doors of The Lodge to all members of the community to recognize the positive impacts that Officer Natalie Corona had on our city, to share ideas for how we hope to memorialize her legacy, and reveal plans for how students seeking careers in law enforcement may apply for some of the annual funds we anticipate providing for many years to come. 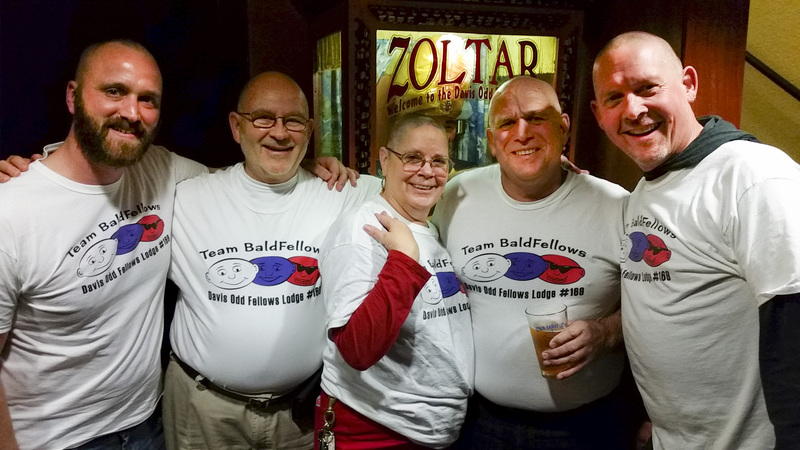 Renew your Odd Fellows membership today. 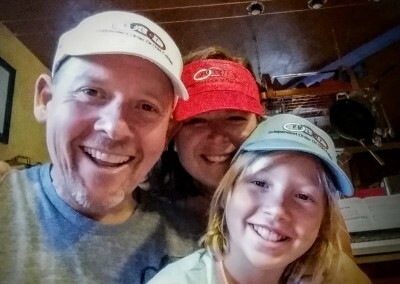 It is easy and online. 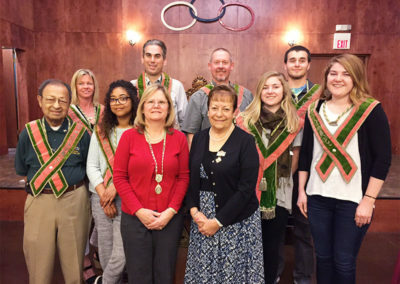 A progressive group of brothers and sisters focused on changing this Order to fit the needs of a changing society. 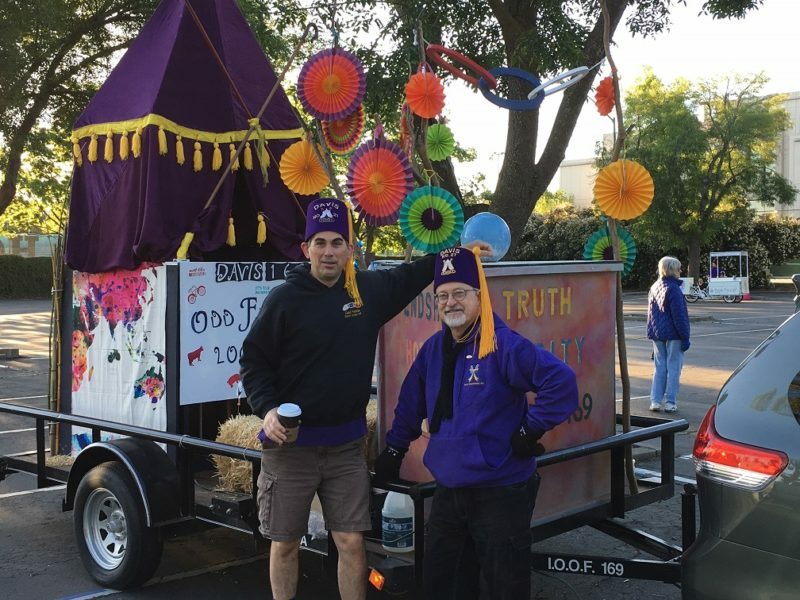 Enjoy a number of thought-provoking articles which dig deep into the issues facing our Lodges and how we can bring new meaning to the principles of Friendship, Love, and Truth. 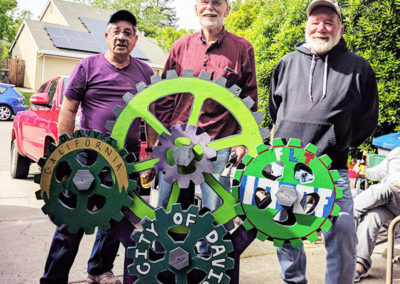 DMC is a “think tank” of new ideas and suggestions to reinvigorate, recharge, rejuvenate, and reform this Order. 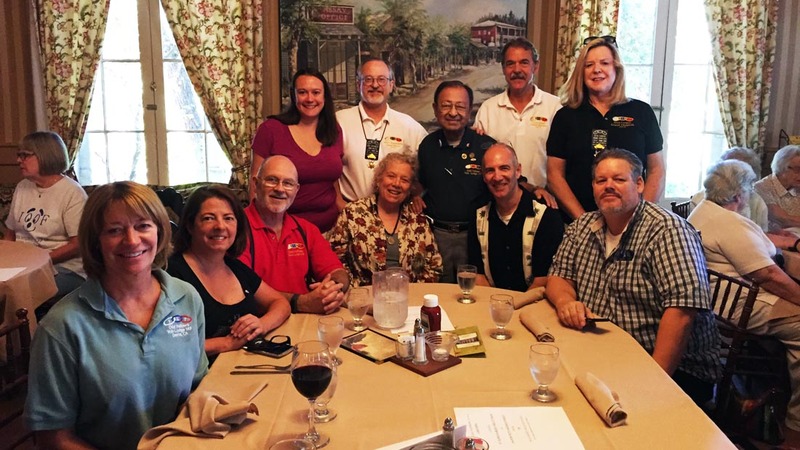 DMC is focused primarily on ways for Lodges to increase their membership. 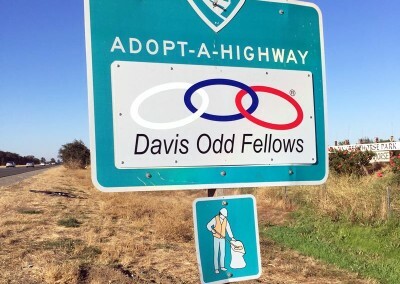 A series of essays published by Dave Rosenberg from 2012 to 2014 about a progressive new vision for Odd Fellowship and to reform, restructure and revitalize Odd Fellowship for the 21st Century. 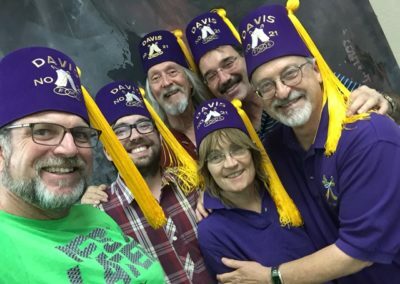 Odd Fellow Lodges must become three-dimensional Lodges; emphasizing the rich culture and history of our fraternity, making sure we provide enjoyable social activities for our members, and making sure we reach out into our communities to do good works. 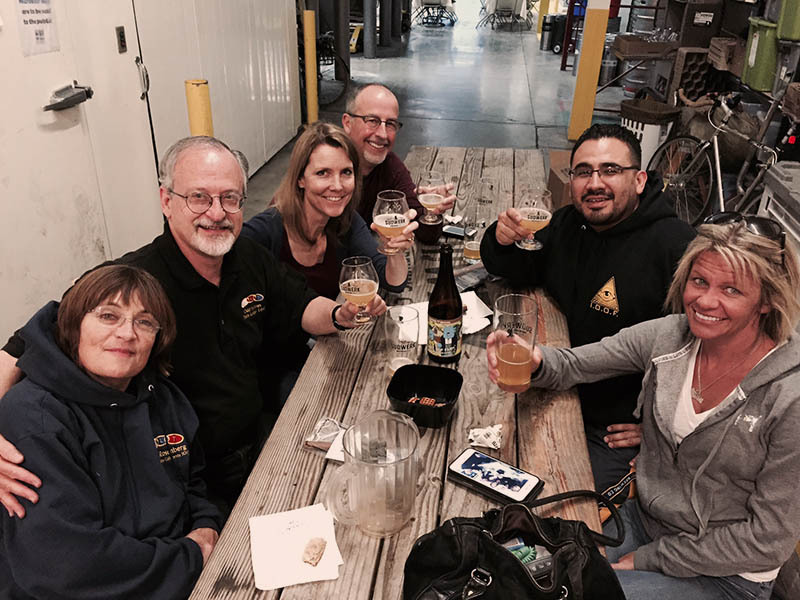 DMC – A generation of Odd Fellows have failed. 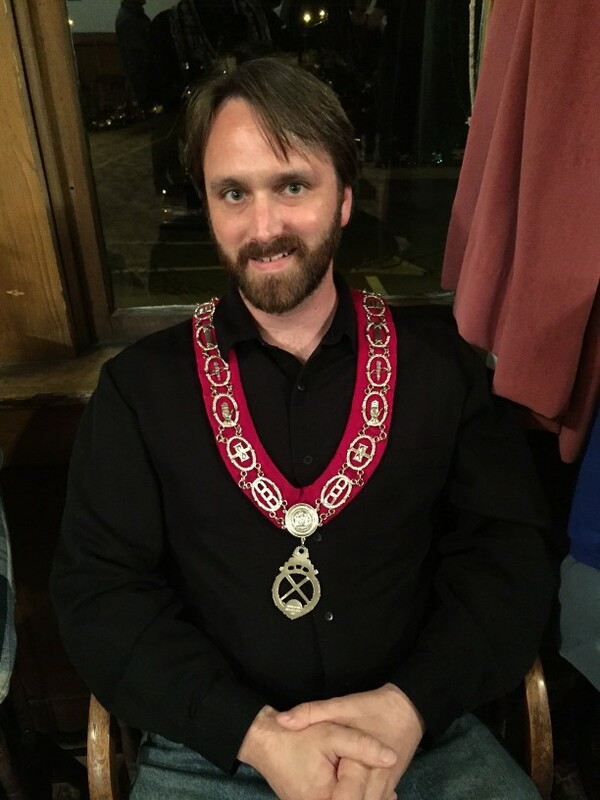 DMC – When will we discuss Odd Fellows membership? 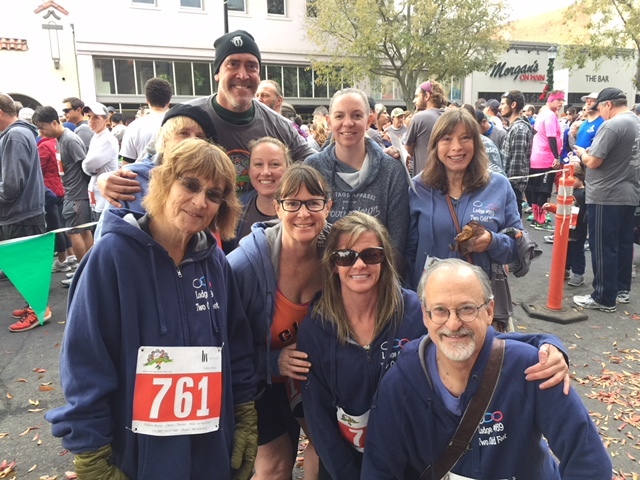 This is part of the Davis Odd Fellows team that participated in the 5K run/walk “Running of the Turkeys” raising money for the Yolo Food Bank. 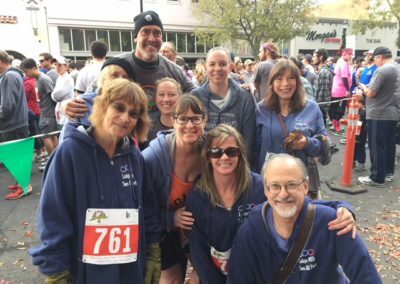 Janis Rosenberg organized the team again this year! 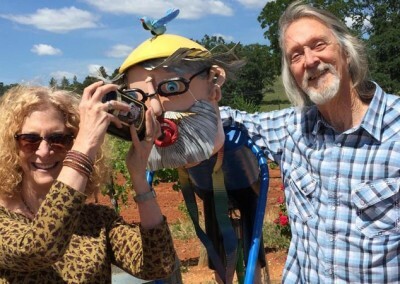 The Rogglis help the locals with a little wine tasting. During the March 27 meeting of Davis Rebekah Lodge #253, IARA President Joyce Link surprised Lodge Secretary Sherry Pruitt with the presentation of her 50-year jewel. 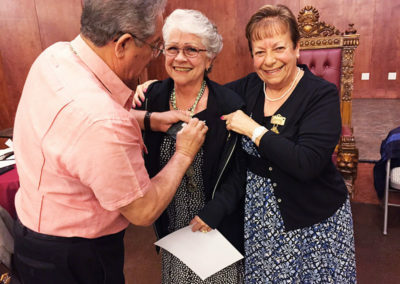 Pinning on the jewel is Sherry’s husband (and Rebekah Lodge Warden) Tony Pruitt. 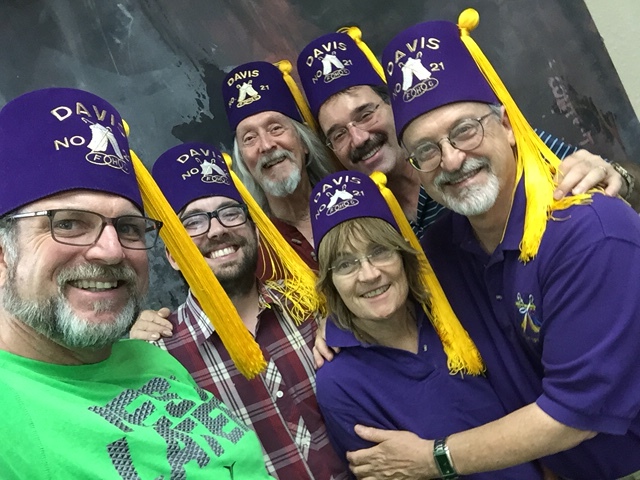 Twenty-five members of the Davis Rebekah Lodge were on hand to witness the delightful award and recognition. 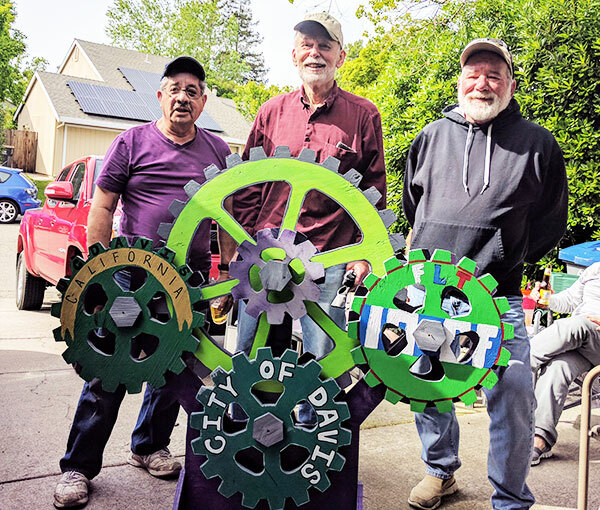 Davis Odd Fellows Picnic Day Float Committee getting the float components together. 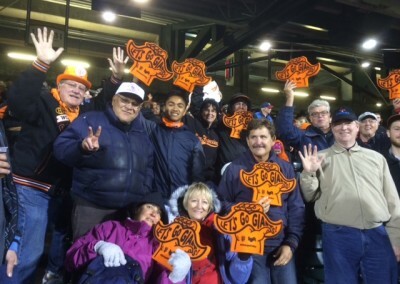 Davis Odd Fellows attempt to fill Giants Stadium. 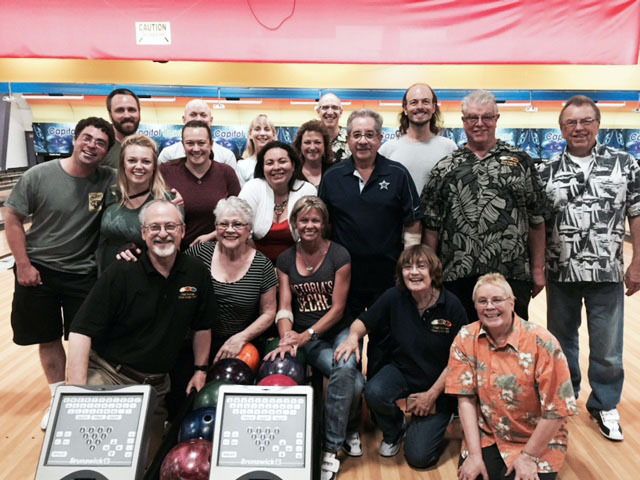 Members of the Odd Bowlers committee having a great time! Davis Rebekah Lodge #253 initiated 8 new members on March 27, 2017, bringing the total membership up to 45. 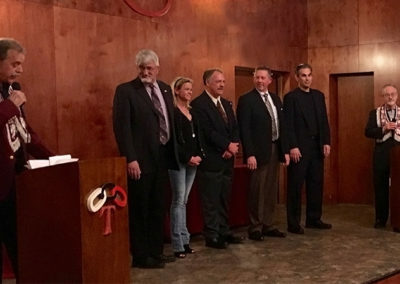 Another 5 applicants are scheduled for initiation in the Fall. 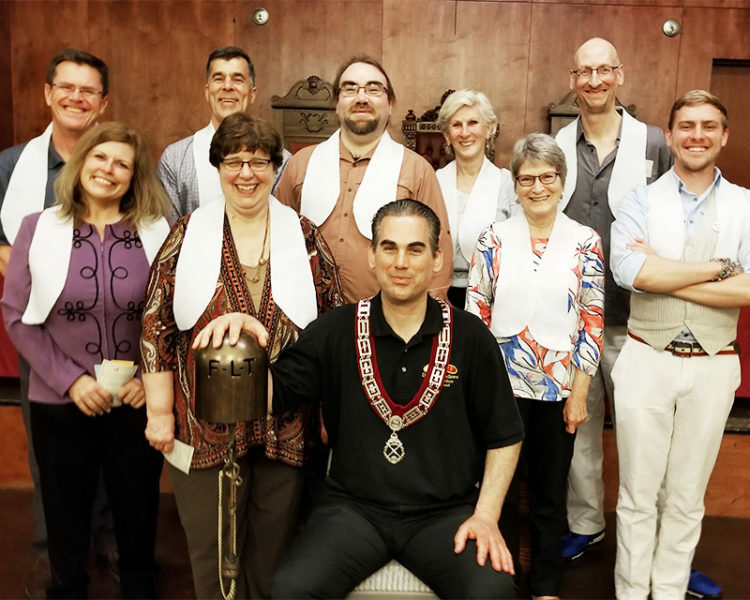 Pictured left to right are Arun Sen, Janis Rosenberg, Marisa Browne, Noble Grand Diana Schmiegel, James Bledsoe, IARA President Joyce Link, Stewart Savage, Kati O’Day, Alejandro Saldivar, and Kelli O’Day. 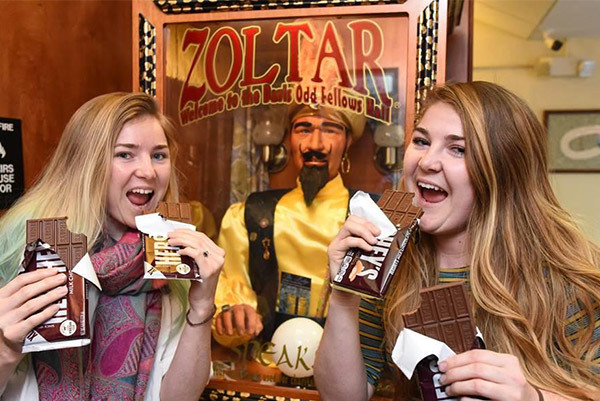 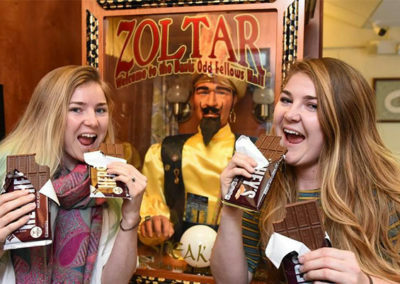 Twins Kati (on the left) and Kelli O’Day, both members of the Davis Odd Fellows Lodge, get ready for the 3rd Annual Davis Chocolate Festival. Once again, the Davis Odd Fellows entered a float in the Davis annual Picnic Day Parade. 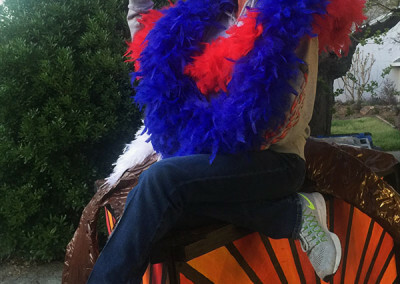 The float this year featured Encampment themes. 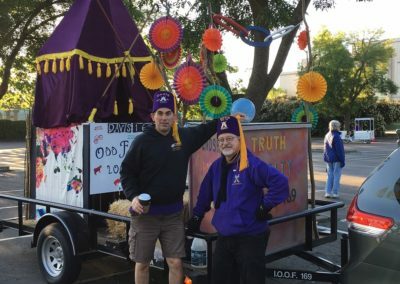 In the photo, left to right: James Bledsoe, Past Grand of the Davis Lodge and Co-chair of the Float Committee, and Dave Rosenberg, Past Grand Master and current Grand Patriarch of California. 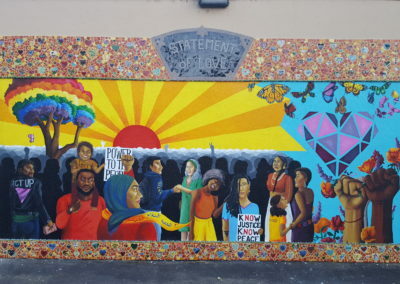 “Statement of Love” commissioned by the City of Davis Civic Arts Commission Multi-colored mural surrounded by small painted tiles crafted by local residents, primarily children. 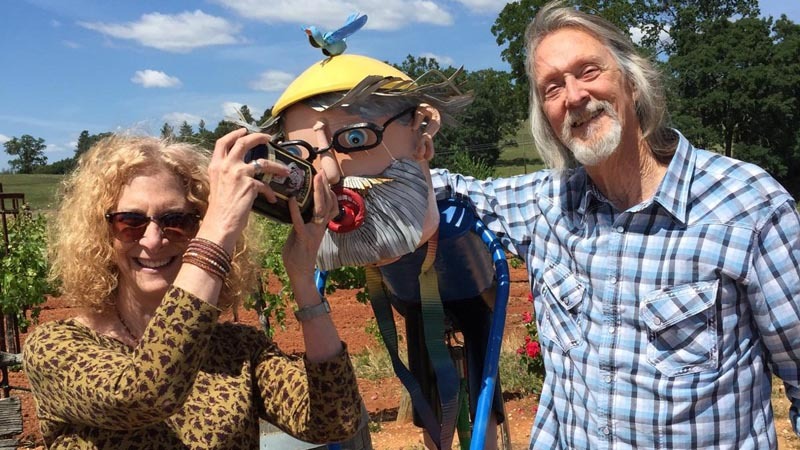 Statement of Love provides a healing expression of the strength in our diversity. 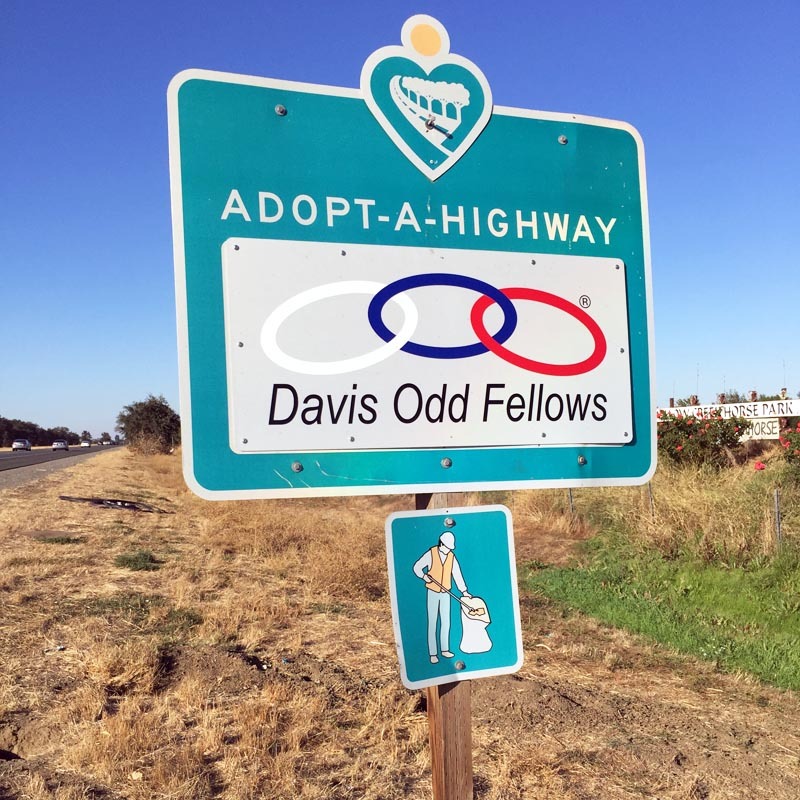 The Davis Odd Fellows Lodge now has a new piece of California to help keep clean. 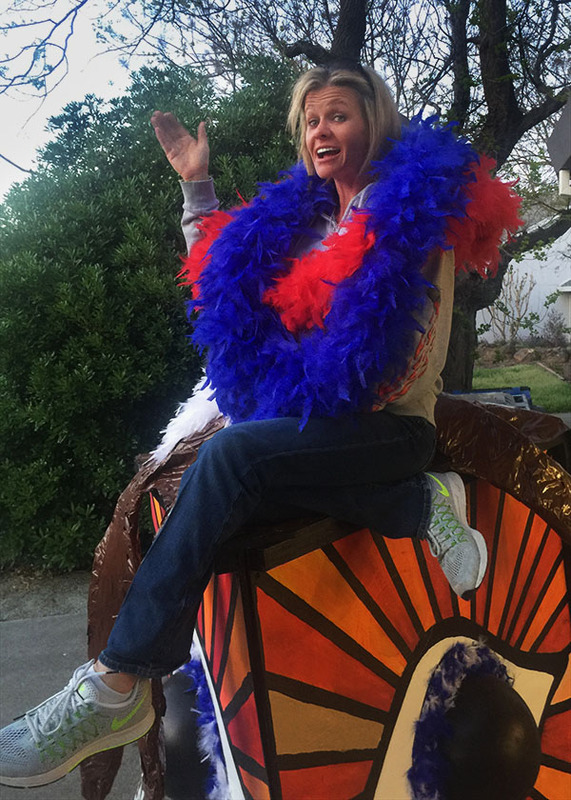 Janis Rosenberg gives the 2016 Picnic Day float a test wave. 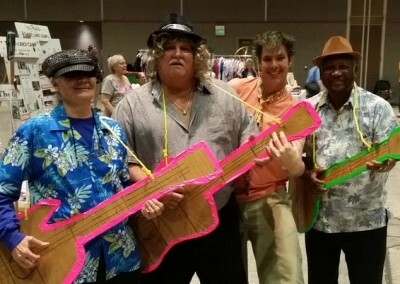 The infamous Odd Rockers perform at the SGL Session in Modesto. 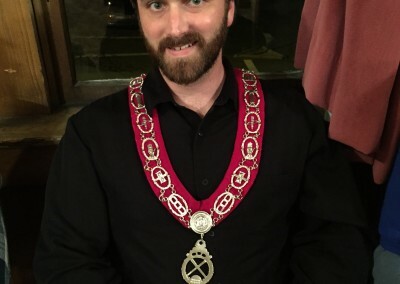 Noble Grand Elect Jean-Paul gets comfortable with the Odd Fellows regalia. 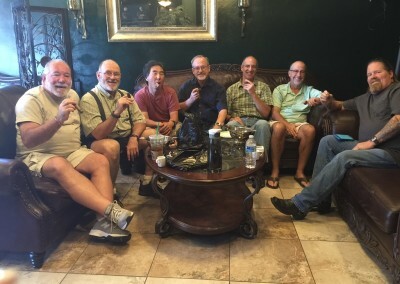 The Davis Odd Fellows Lodge “Cigar Lounge Committee” gathered at the Hatuey Cigar Lounge in Sacramento to enjoy a fine cigar and to discuss events of the day. 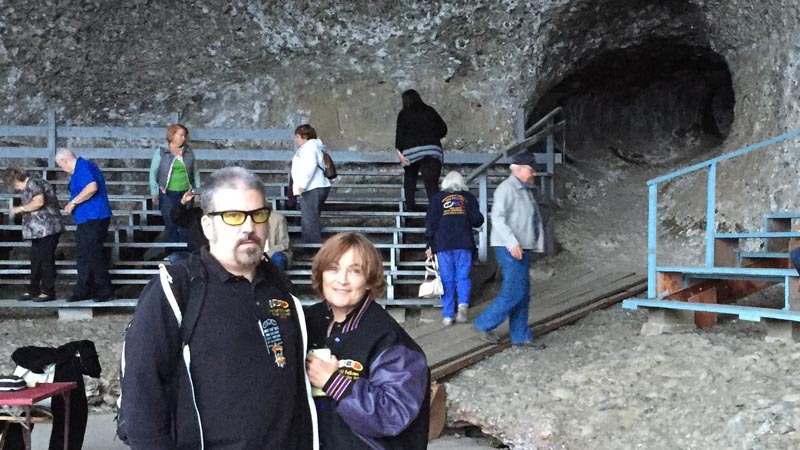 Odd Fellows from across California make a visit to the historic Volcano Lodge. 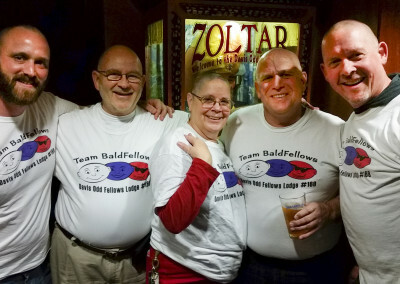 Five brothers and sisters from the Davis Odd Fellows Lodge braved the shave for St. Baldrick’s Day. 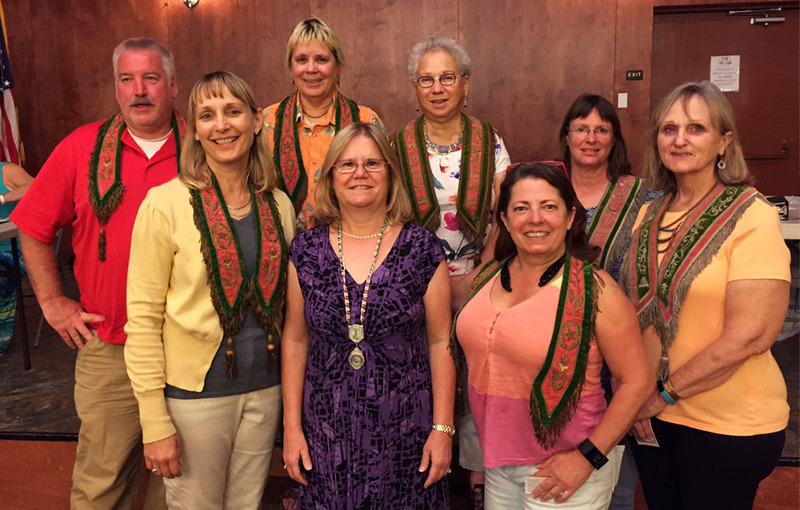 Seven new members were initiated on August 22. 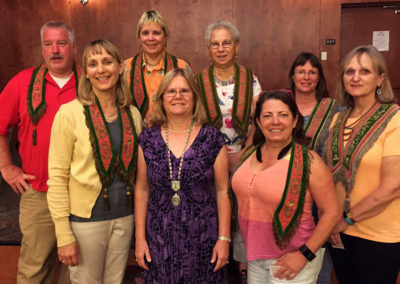 Left to right: Paul Schmiegel, Beth Dovi, Kathryn Hemness, Noble Grand Diana Schmiegel, Elizabeth Lasensky, Sue Treadwell, Sharla Cheney, and Mary Mallory Rogers. 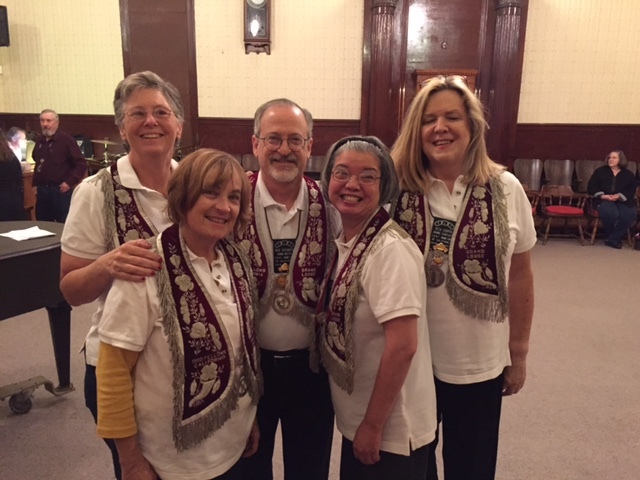 Grand Master Dave Rosenberg visits the Sycamore Lodge in Hayward, joined by his officers: Grand Marshal Nancy Johnson, Grand Chaplain Rita Cooper, Grand Guardian Lea Rosenberg, and Grand Herald Anita Donnell. 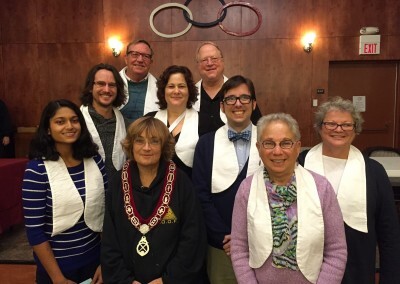 Davis Lodge initiation 11-18-15, with Noble Grand Lea Rosenberg. 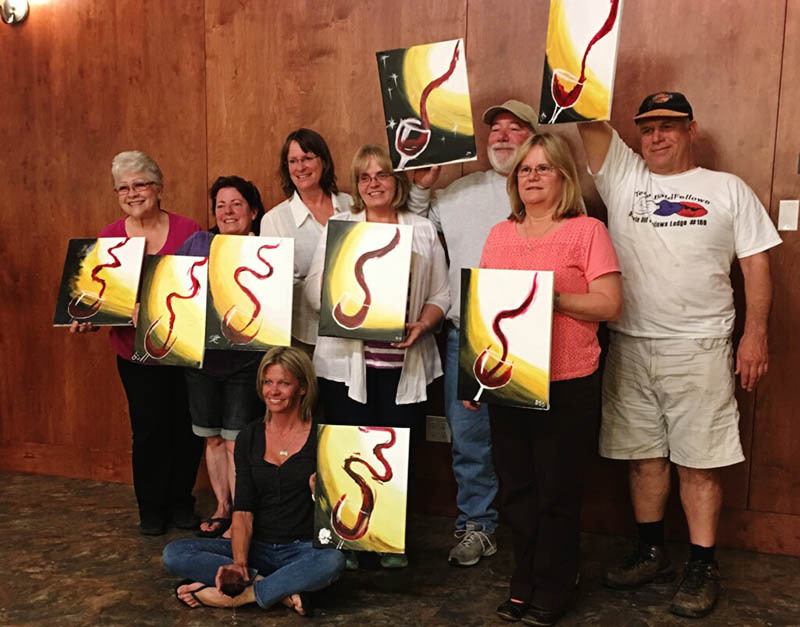 John Knotts, Ed Lewis, Timothy Wilkinson, Alexis Roberts, Kevin Sitz, Priya Sah, NG Lea Rosenberg, Elizabeth Lasensky, Dianne Knotts. 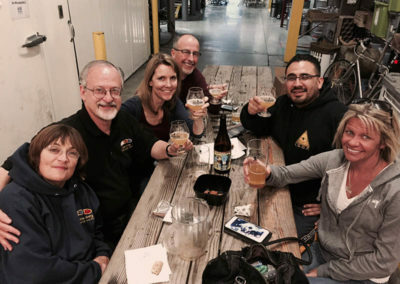 Celebrating 500 years of beermaking. 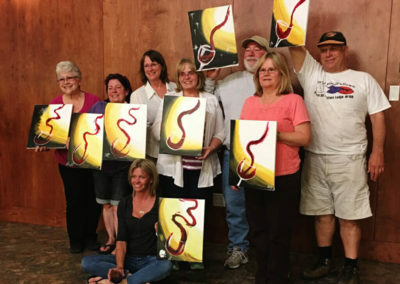 Artist of the Davis Odd Fellows Lodge display their work from the Paint and Sip class. 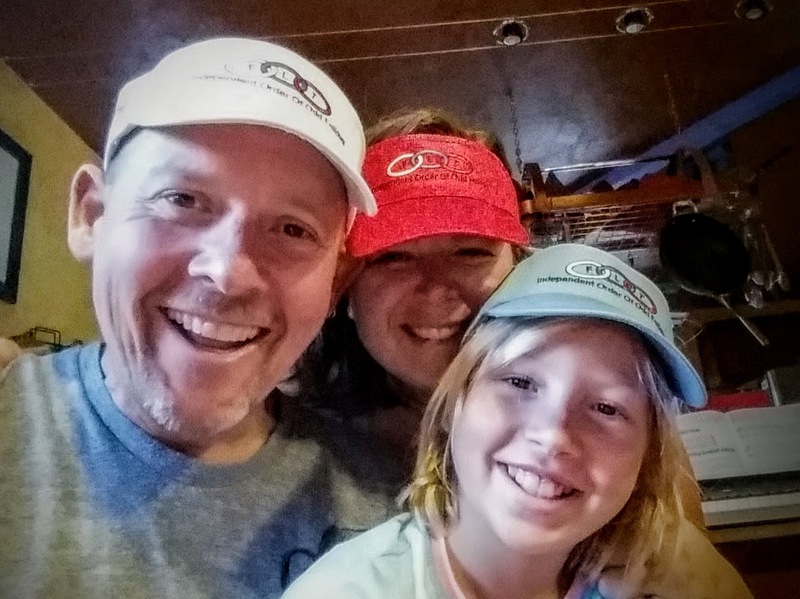 The Savage Family puts the swag from SGL on display. 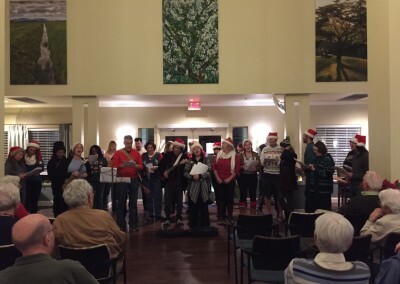 About 30 Davis Odd Fellows, Pledges, family, and friends sang Christmas carols at Covell Gardens. 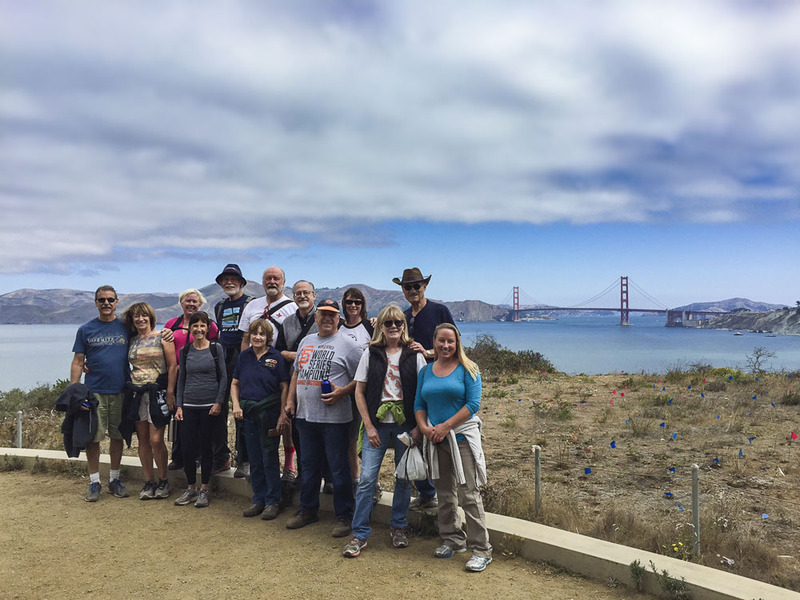 August 28 hike along the coast in San Francisco. 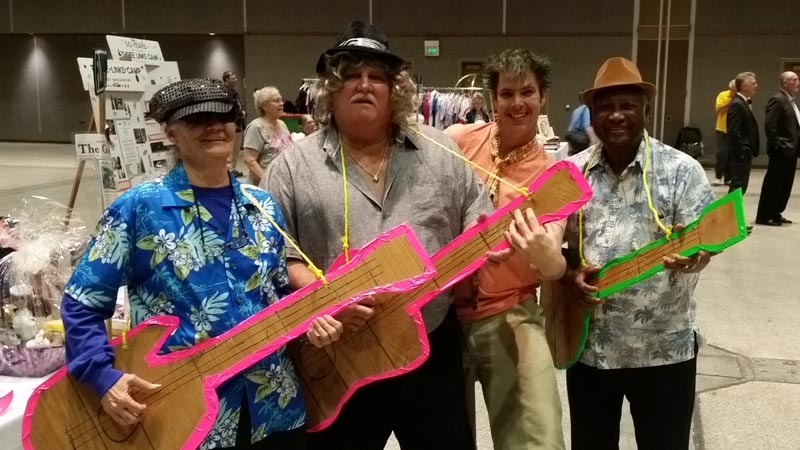 Wotta group! 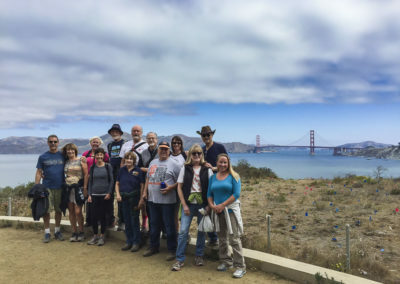 Thank you, Dave Reed, for organizing the adventure. 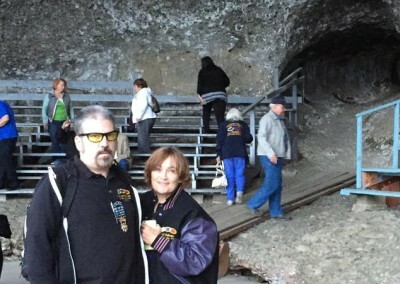 Lea Rosenberg and Stark Dagesse in the cave before the start of the second degree. 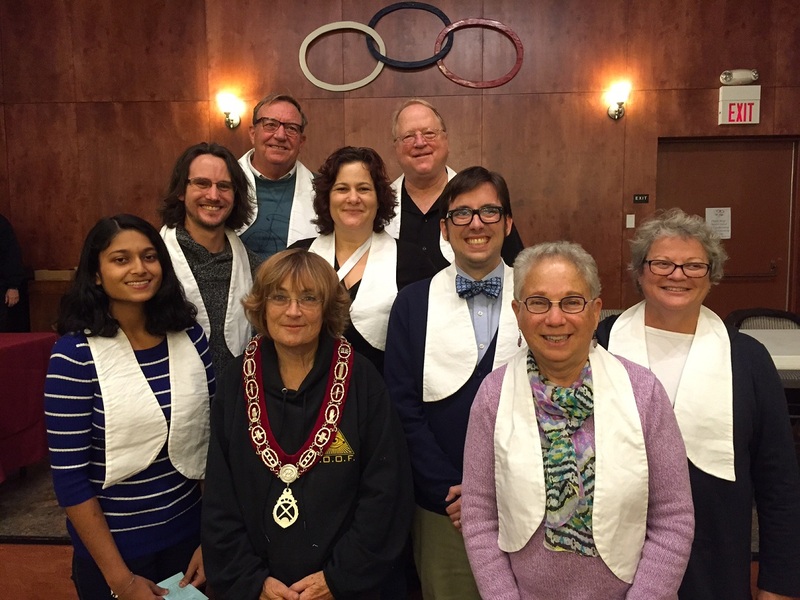 On September 26, 2017, Davis Encampment #21 conferred the three Encampment Degrees on Howie Spero and Robert Ser. 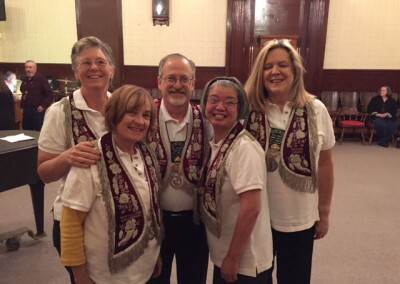 The new Patriarchs received the Patriarchal Degree, the Golden Rule Degree and the Royal Purple Degree. 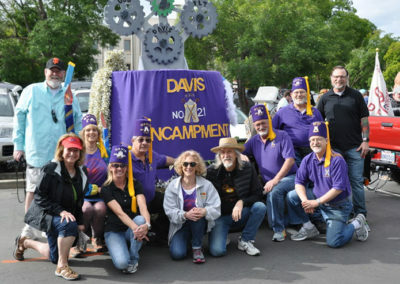 This brings to 51 the number of members of the Davis Encampment, the largest total in the history of the Davis Encampment. 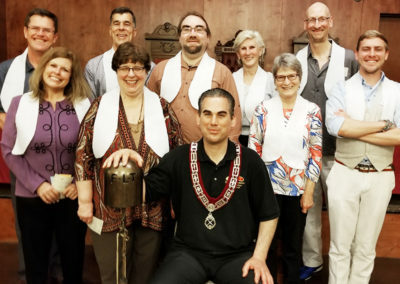 Pictured in the photo are the new Patriarchs and some members of the Degree Team. 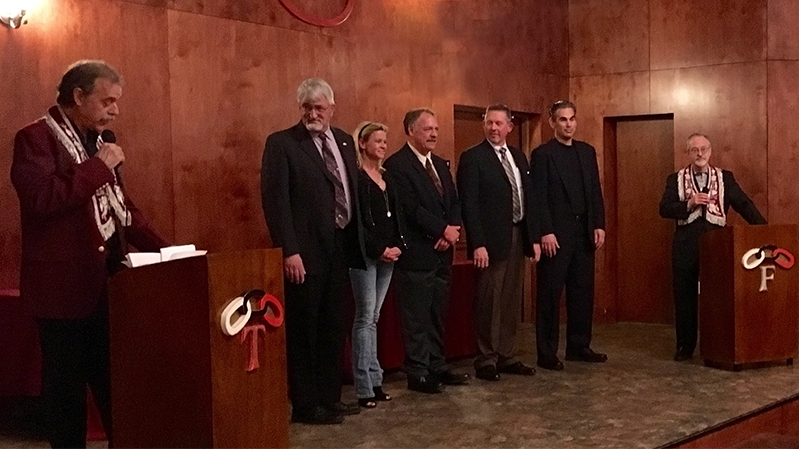 Pictured left to right are Robert Ser, Kevin Sitz, Kurt Roggli, Lea Rosenberg, Howie Spero, and Captain of the Degree Team and Past Chief Patriarch Dave Rosenberg.